Dual Group One winner Viddora could head to Dubai if she performs well in the Oakleigh Plate. An overseas trip is in the pipeline for dual Group One winner Viddora if she performs strongly in her return in the Oakleigh Plate. Viddora had a jump-out at Caulfield on Tuesday morning and trainer Lloyd Kennewell said the mare would have another hit-out before the Oakleigh Plate on her home track on February 23. 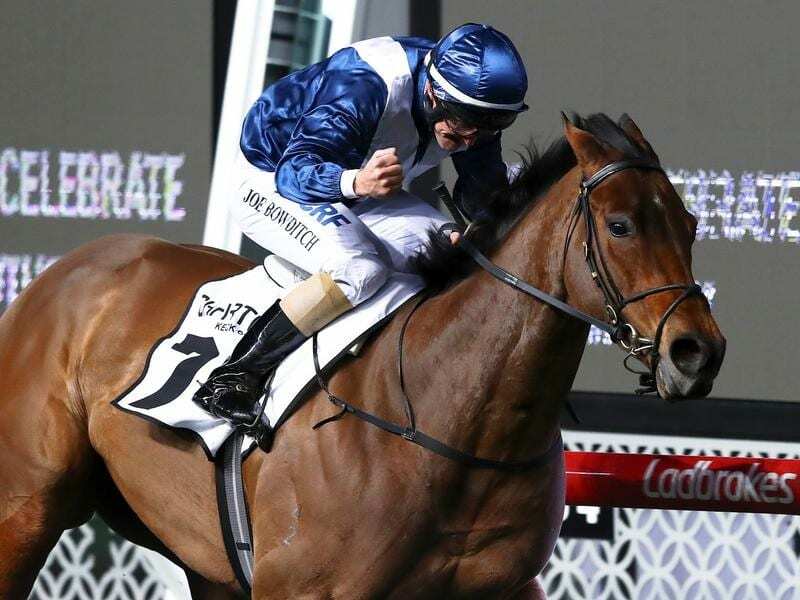 Kennewell said Viddora had been invited to run in Dubai in the Al Quoz Sprint (1200m) on World Cup night, March 30, and he plans to take her there if her Oakleigh Plate performance warrants it. “She’s been invited to go to Dubai so we’ll exercise those options if she runs well in the Oakleigh Plate,” Kennewell said. “But if she doesn’t run well in that, we’ll stay in Australia with her. “The horse comes first. Her welfare comes first because she’s a valuable broodmare so we just want to make sure that everything is right with her. Kennewell said the logistics had already been sorted and he believes the space between the Oakleigh Plate and Al Quoz is ideal for the mare who performs at her best with a gap between races. Six-year-old Viddora is entering what is likely to be her final racing preparation but Kennewell said her campaign could last for several months, and could include more than one overseas race. “There’s a few other things happening but it’s all up to her, obviously,” he said. Kennewell said Viddora cruised along in her jump-out and jockey Joe Bowditch gave him a good report.